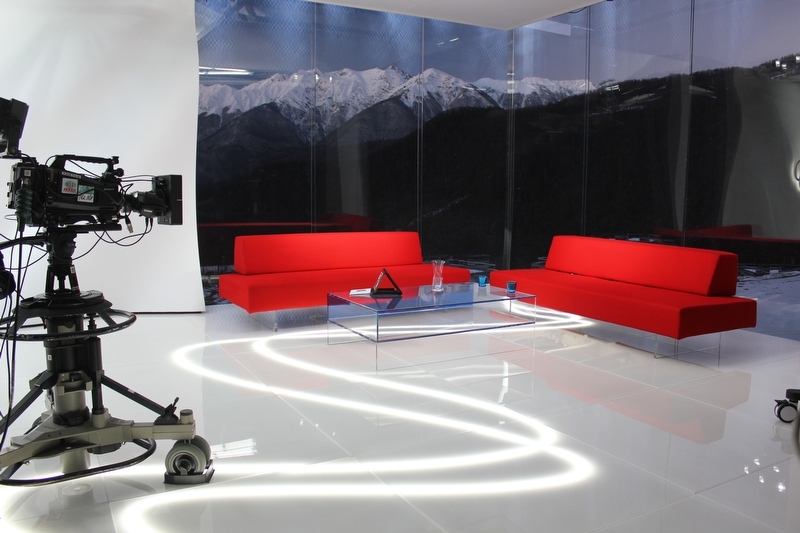 Set for TV2 Norway’s coverage of the 2014 Winter Olympics. 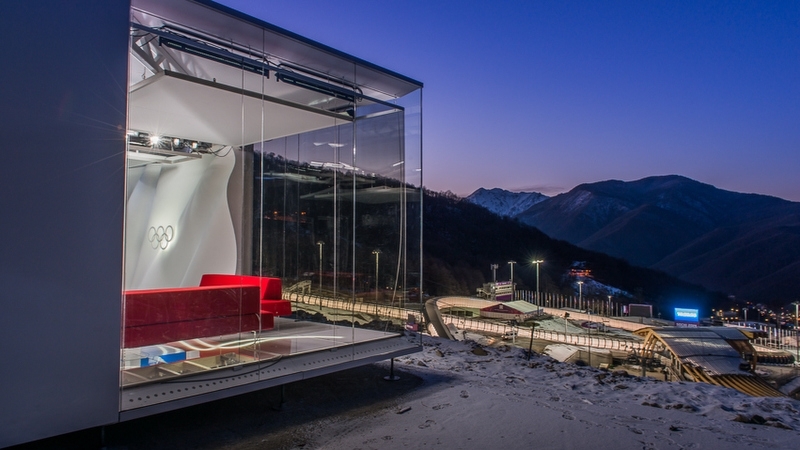 Located in the alpine ski resort above Sochi. 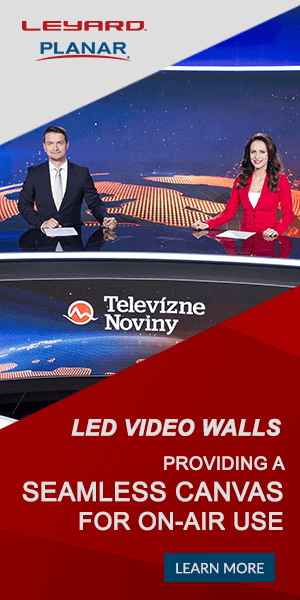 Sandwich flatpacked studio, 9×8 meters, heat and cooling systems. 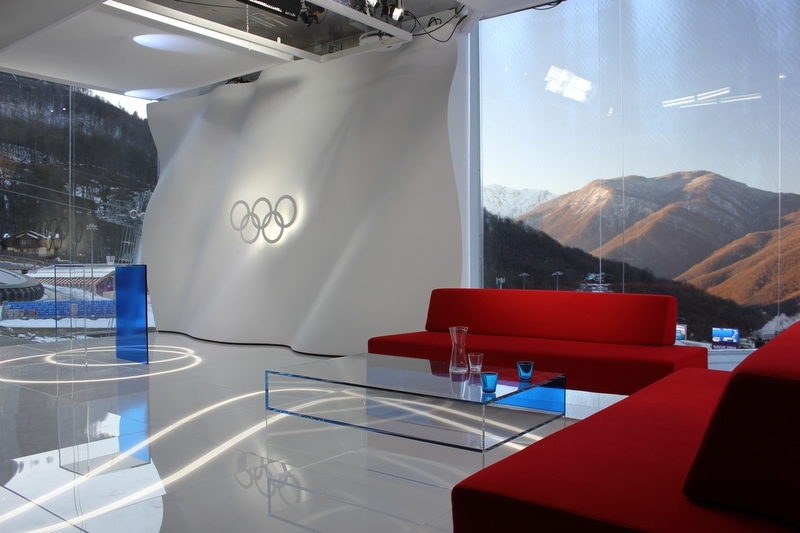 Studio will also be used in Rio in 2016. 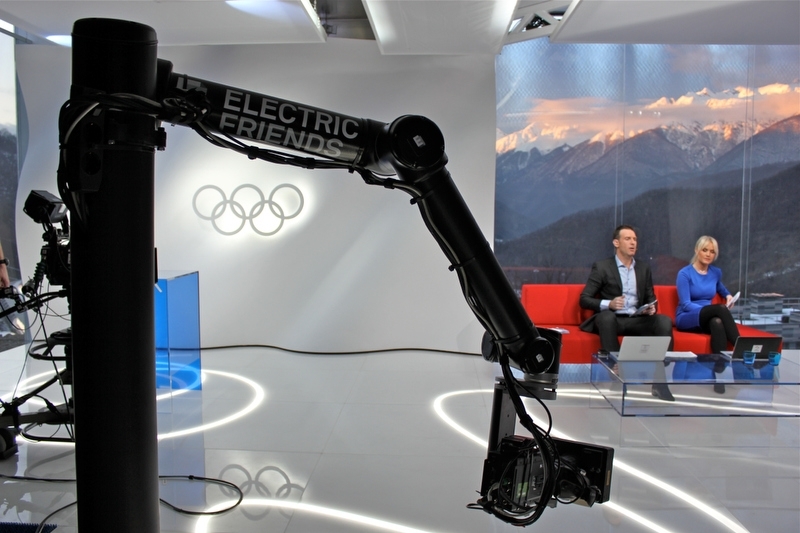 Setup includes 4 camera production, 2 remote controlled tele metrics heads and 1 robotic arm.